Hardwired smoke detectors are probably the most common home security devices used for fire detection. Using photoelectric or ionization technologies, they depend on wiring to function. Detectors can be of the 110-volt type, usually required by building code for all new housing, or of the low-voltage type. Low-voltage hardwired smoke detectors are designed to be connected to a home security system’s control panel. Combined with fire alarm monitoring, this gives the best protection for both life and property. Wiring for low voltage smoke detectors is often pre-wired along with alarm system keypads, hardwire contacts, and motion sensors. When low-voltage smoke detectors are added to a house, the 110-volt units should not be removed. Even if the two units are located right next to each other and protect the same area, both should remain. Removing the 110-volt unit is a bad idea. Why? 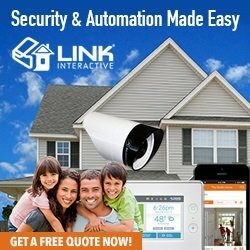 A future owner of the house might not be as security-conscious as you are. He might allow the alarm system to fall into disrepair, which would leave the home with no fire protection. By leaving the standard smoke detectors in place, at least one type of smoke alarm would remain. Hardwired smoke detectors are available in several different combinations. System Sensor smoke alarms often have a built-in heat detector as well. This gives additional protection in case of a rapid rise in temperature with little or no smoke present. Some First Alert smoke detectors also combine carbon monoxide detection. CO detection is most needed in homes with fuel-burning furnaces or a gas fireplace. Choosing the right combination detectors can save you money, and reduce the number of units installed on your walls. The two major versions of hardwired smoke detectors are 2-wire and 4-wire, referring to the number of conductors each requires to operate. 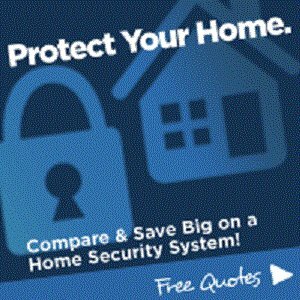 Different security systems may support either one or both types, depending on their design. 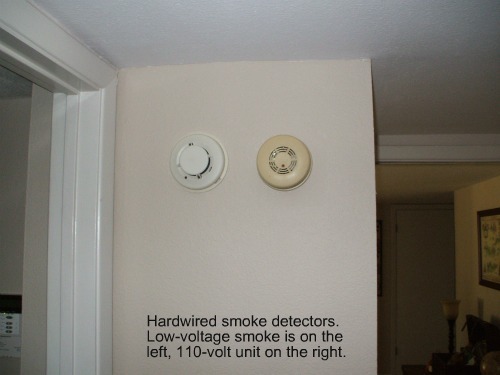 2-wire smokes get their power from the same two wires they use to signal an alarm. This means they must be connected to an alarm system panel that supports 2-wire devices (not all do). Because the power and signaling is shared on the same pair of wires, there is a limit to how many 2-wire smokes a panel can support. 4-wire smokes use 2 wires for power, and 2 for signaling. They are considered to be “generic”, since they can be used with almost any alarm panel. And, since power and signals are carried on separate pairs of wire, there is practically no limit to the number of devices you can connect. For more details on wiring smoke alarms, see Smoke Detector Circuit Basics. No, this has nothing to do with keeping an eye on the kids…. In the alarm business, “supervision” refers to the continuous monitoring of a circuit. Smoke detector circuits are supervised to sense any trouble with the wiring that could possibly prevent an alarm from being signaled. The most common trouble condition is an open circuit. 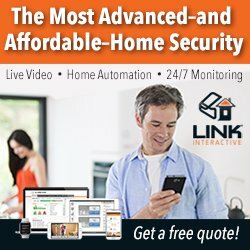 If alarm wiring is cut, pulled loose, or otherwise disconnected from any device, a trouble signal will sound at the keypads, and can be transmitted to a central monitoring station. A wire pulled loose from a screw terminal. Wiring in accessible attics and crawlspaces is sometimes kicked or pulled on by workers performing service on AC units, duct work, other wiring, etc. Water leaks can find their way to connection terminals, causing corrosion of the metal parts and copper wire. The wire gets weakened and can eventually dissolve altogether. “Rat Chew” – Small rodent pests can get into basements, attics, and crawl areas. Many of these rodents seem have an almost zombie-like obsession with chewing on things, and apparently wires are one of their favorite snacks. However wiring gets damaged, a supervised circuit will alert you to the problem so that repairs can be made. 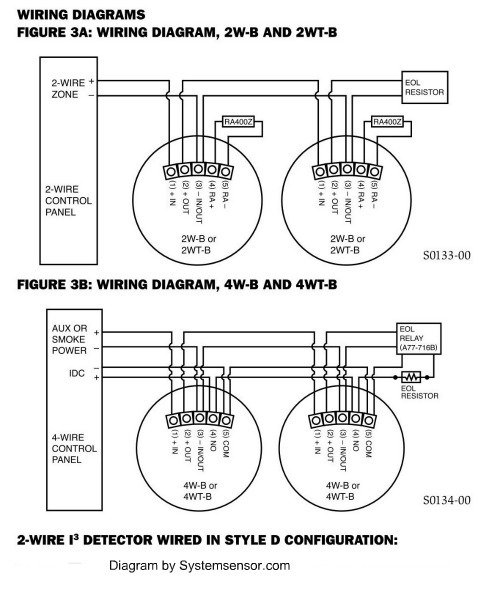 Typical smoke detector wiring is either 2- or 4-conductor, 22-gauge wire. Both types of hardwired smoke detector will work with 4-conductor wiring. Many alarm companies use 4-conductor wire for all smoke runs, to make connections easier and allow flexibility as to what panel can be installed. Fire alarm circuits are supervised through the use of an end-of-line resistor, or EOLR. In simple terms, this allows the panel to detect both an “open” (trouble) condition, as well as a “short” (alarm) condition. Placement of the EOLR is important, and the correct locations are shown in the wiring diagrams. To put it simply, the panel must be able to “see” the EOLR at all times; if it can’t, an alarm or trouble signal is generated. Find replacement end-of-line resistors here. Hardwired smoke detectors should be cleaned and tested at least once a year. 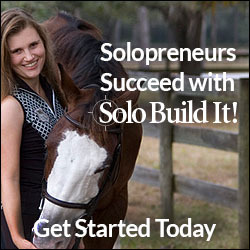 Your alarm company can do this, or you can do it yourself. Cleaning is needed to remove fine dust that can accumulate in the unit’s smoke chamber. This dust will eventually cause false alarms, since the device sees the dust as smoke particles. Canned air, commonly sold for cleaning computer keyboards, is the best tool for the job. You can also use your trusty household vacuum cleaner. Each model of hardwired smoke detector will have a specific way to test the unit. Most have some sort of Test button. Others can be tested by holding a magnet next to the unit. Ask your Alarm Company, or Google the model number to find manufacturer’s literature on the device. For more information, see System Sensor Smoke Detectors, Cleaning and Testing. If your system is monitored, always contact the central station and put the system in “test” before cleaning or testing any smoke detectors. Even cleaning can stir up fine dust particles and cause a detector to trip. Hardwired smoke detectors, and in fact all smoke detectors, should be replaced when they reach ten years in age (Some manufacturers specify 5 years). The reason for this is cost: Smoke detectors are mass-produced and fairly inexpensive, and aren’t built or expected to last a lifetime. Over time, their performance can deteriorate, and manufacturers can’t guarantee proper operation after about the ten-year mark. If you have older 110-volt smoke alarms that need to be updated, see this page on replacing electric smoke detectors. Always locate smoke detectors following the manufacturer’s guidelines, and in accordance with local building codes. If in doubt, check with an alarm dealer in your area for advice. For some guidelines on where detectors should be installed, check out Smoke Alarm Placement for Home Security Systems.